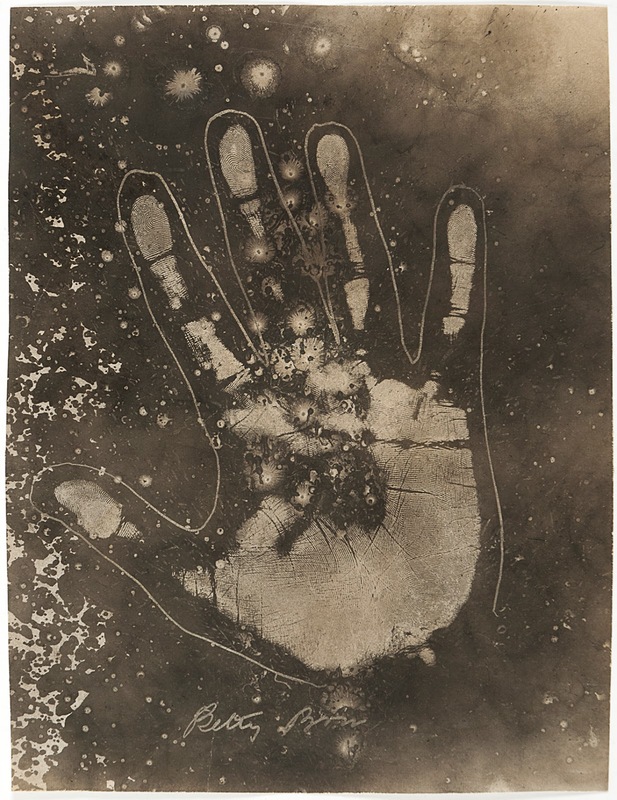 A 19th century manual on the art of palm reading, this copy of Cheiro's Language of the Hand, is sold with three later original impressions of the palm (see left), probably made using a photostat machine (a predecessor to the photocopier). The resulting images are startingly beautiful. William John Warner, known as 'Cheiro' (derived from 'cheiromancy', meaning palmistry) was an astrologer, palm reader and numerologist active in the late 19th and early 20th centuries. He had many famous clients and was hugely popular with much of Victorian and Edwardian high society. He dedicated his life to the study and teaching of occult practices, first learning palm reading as a child from his mother. Later he travelled to India to study the occult, returning two years later to begin his career in London as a palmist. CHEIRO [William John Warner]. 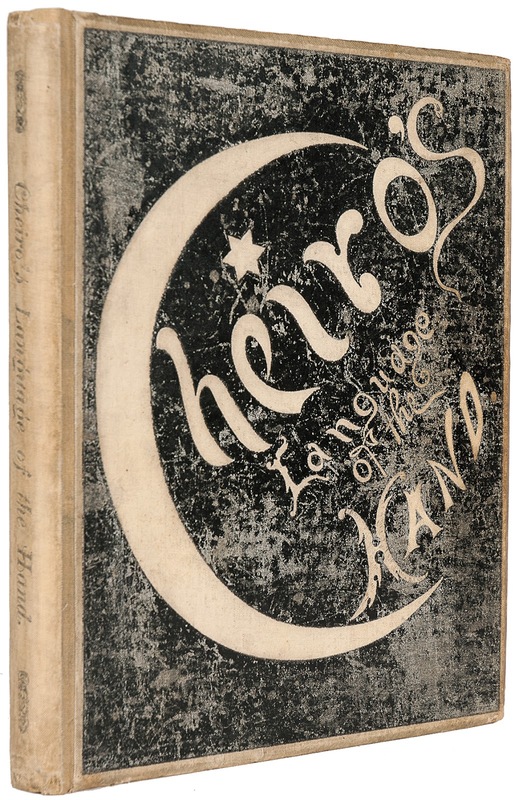 Cheiro's Language of the Hand. New York: Published by the author, 1894. 4to. Original waxed cloth printed in black, gilt top-edge; frontispiece portrait of the author, 36 full-page illustrations, including 13 reproductions of the imprint of various hands taken from life, sold with three later original impressions of the palm, probably made using a photostat machine; one of which has a small loss to the bottom left corner of the sheet, and a period newspaper-clipping, dated 1912, discussing the book; the boards are somewhat rubbed, occasional spotting and a few minor tears internally, previous owners inscription to the first blank, nonetheless a very good copy. First edition. The authors first book.